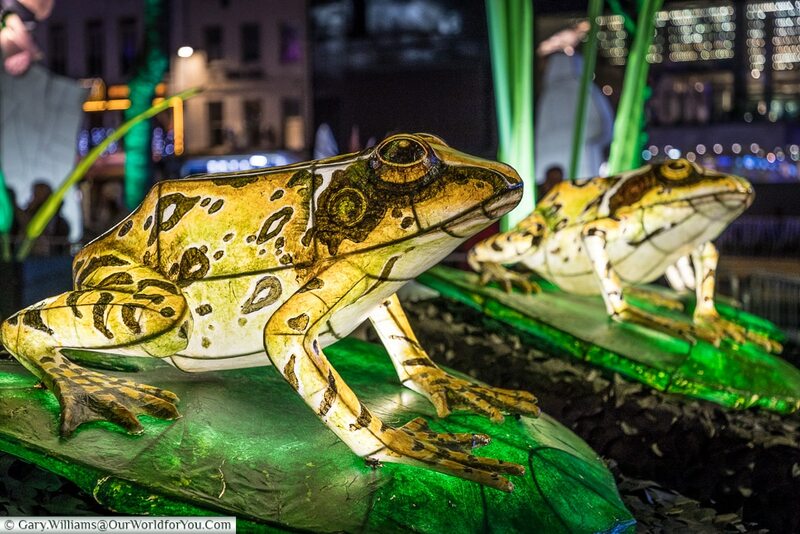 In case you didn’t get a chance to head to London for its 2nd Lumiere light festival, we’d love to share with you our highlights of the free outdoor spectacle. 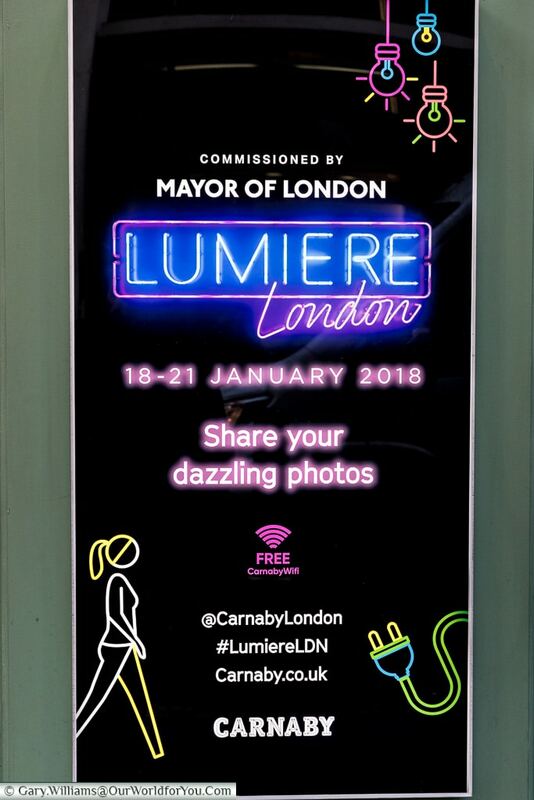 The first Lumiere London was held in January 2016 and covered three key areas of London, however, for 2018 the stakes were upped and were extended further around the city. 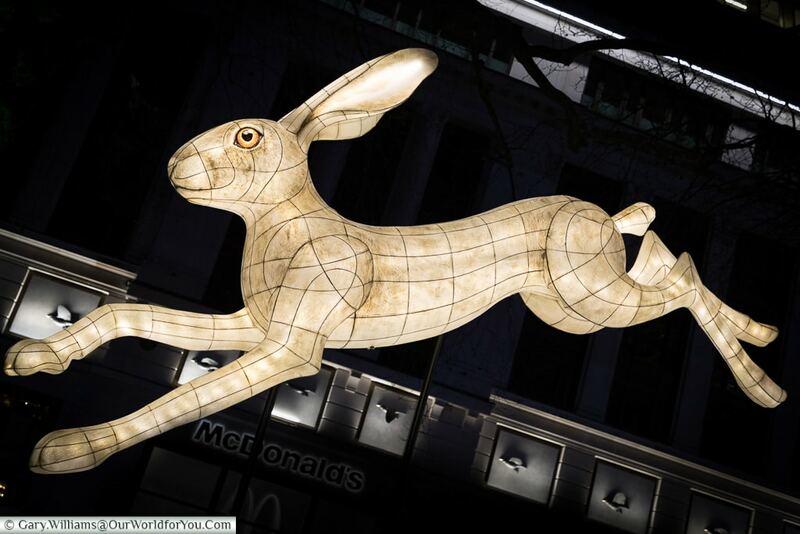 Covering more of London’s icons north of the River Thames and also heading south of the river, particularly along the South Bank. 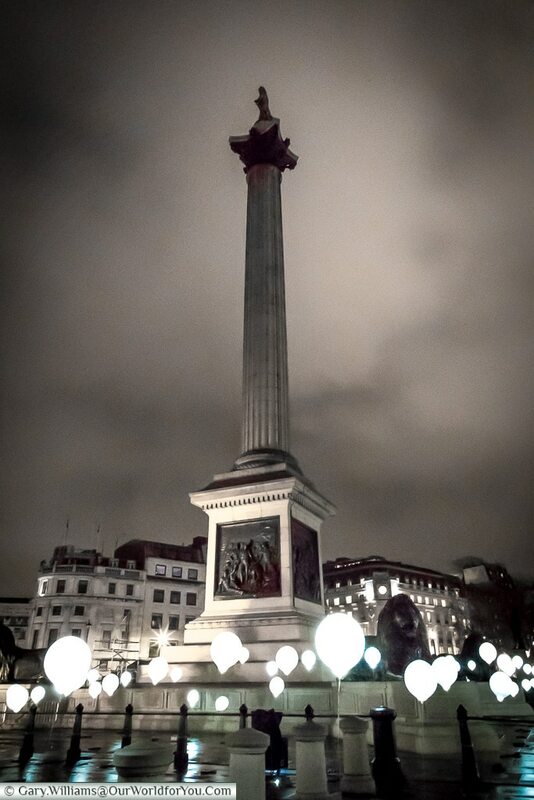 Our mini tour focused mainly around the West End of London, but there was so much more to see, given the time. 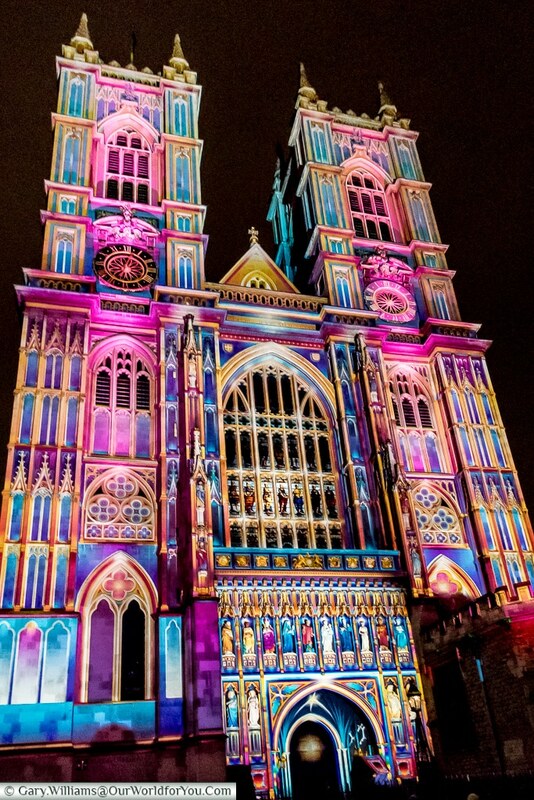 The elegant architecture of Westminster Abbey was illuminated for the 2nd time, by French digital artist Patrice Warrener. The façade of the Great West Gate was awash with multi-colours enhancing so much of the intricate detail that may often go unnoticed. 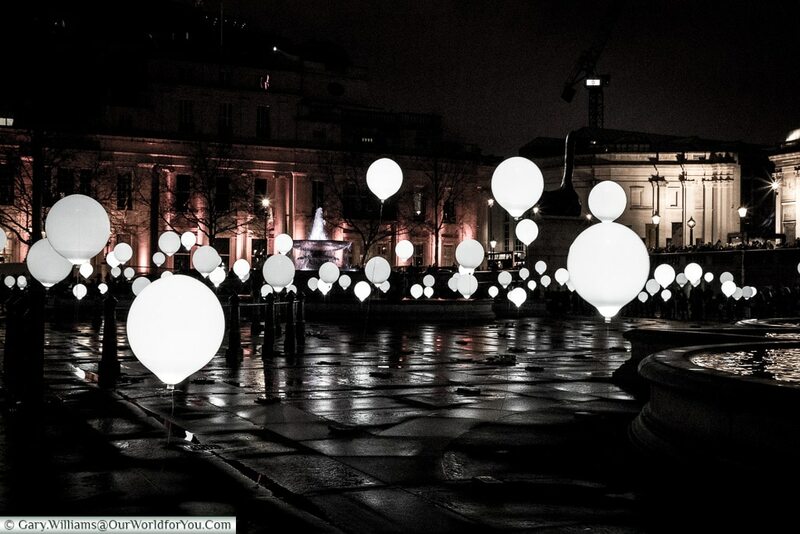 Venturing into to Trafalgar Square and you are greeted with a sea of luminous balloons that sway in the evening air, almost dancing with the music. 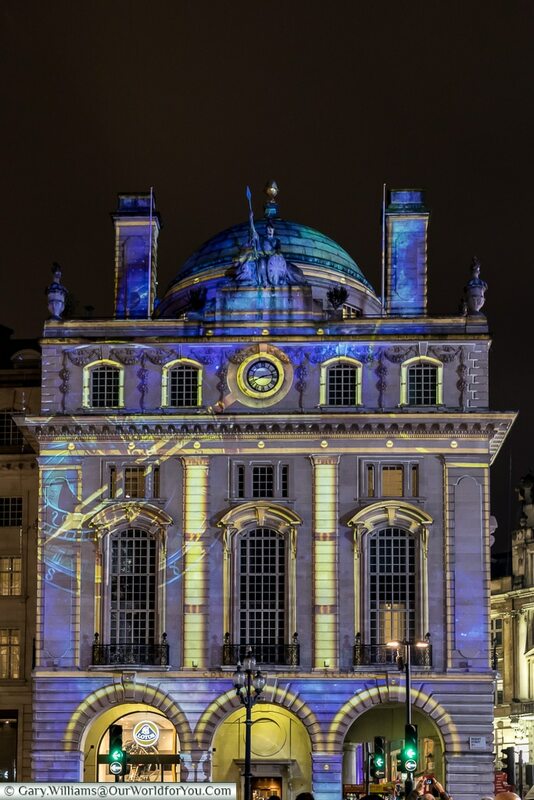 For a great view of the whole installation, climb the steps in front of the National Gallery and take a peek over the terrace. 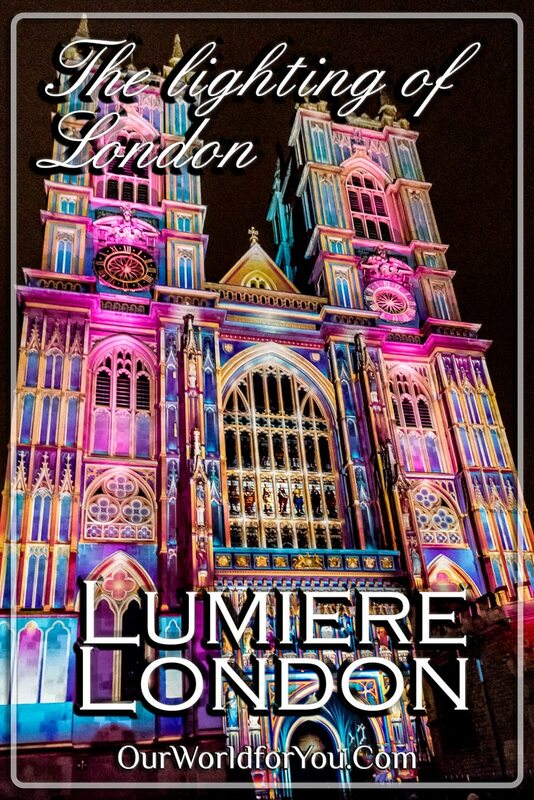 Download your Visit London app, to pick up the Lumiere London updates for next time!!!! 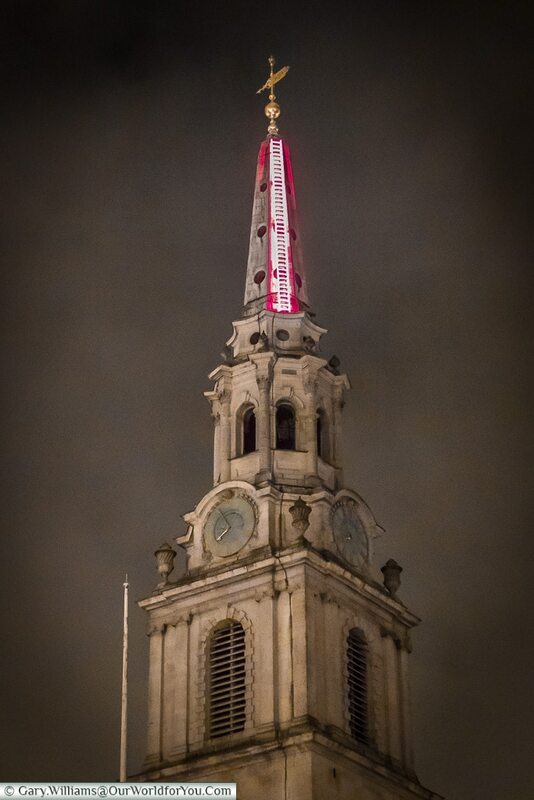 Spin around in Trafalgar Square, and you’ll see an illuminated pink ladder, stretching high into the sky to a world of mystery beyond. 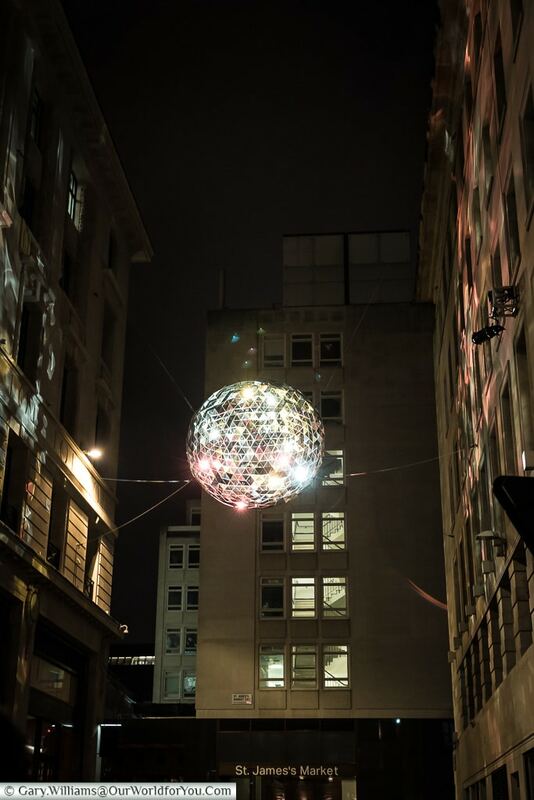 Reflektor as it is officially known, although it did look like a huge glitter ball, is found hanging high above St James’s Market. 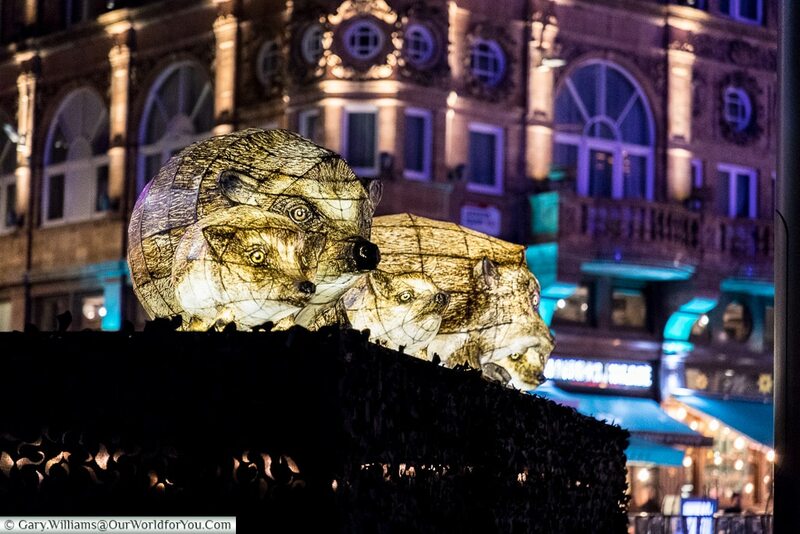 Its shimmering exterior was reflecting lights on the buildings surrounding it. Piccadilly to be precise, and this was undoubtedly one of the highlights for us. 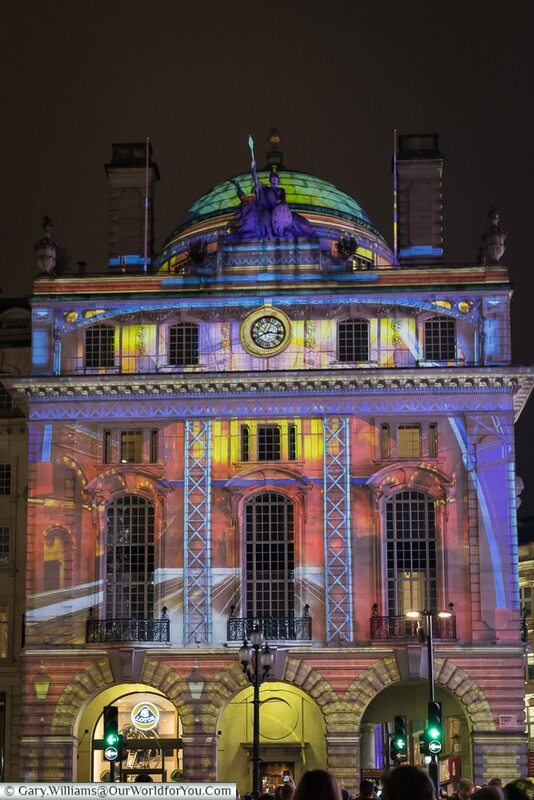 The stunning projection of ‘Voyage’ onto the Hotel Café Royal was amazing, and it took you on a whistle-stop tour through travel and the Industrial Revolution. 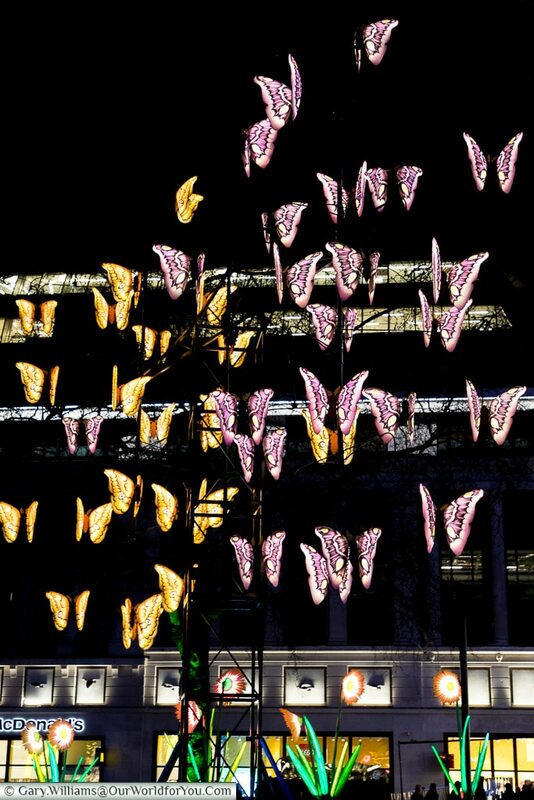 A huge pendulum of time was swinging back and forth and taking you on a journey before your eyes. 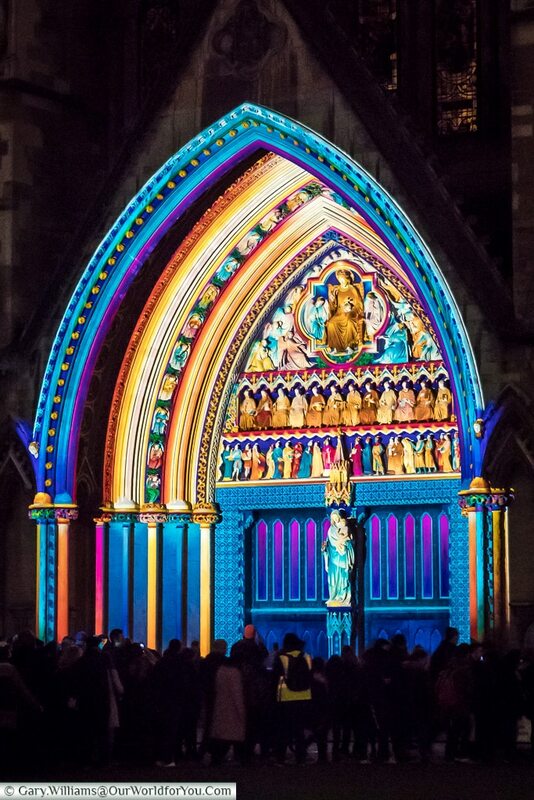 Ever seen any illuminated cathedrals in France, the summer evening shows in Reims and Rouen and incredible? 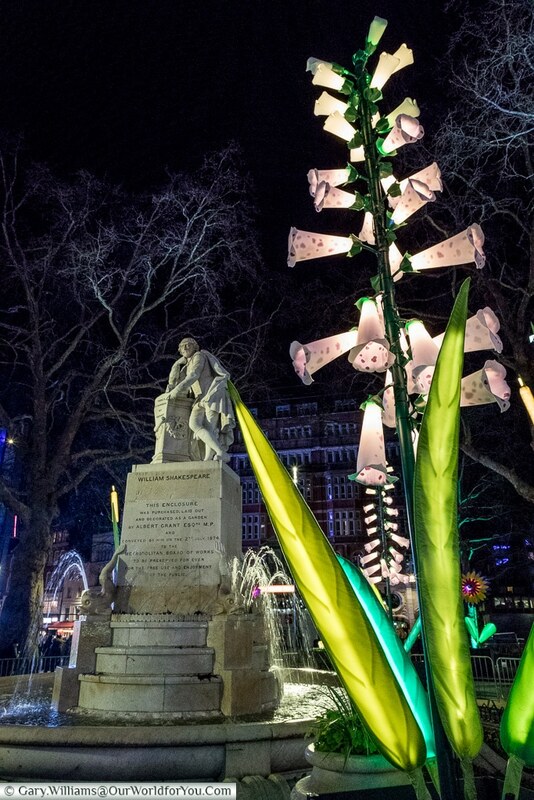 Head into Leicester Square Gardens and a little bit of the British countryside has been transported to London for you. Graceful butterflies, swaying Snowdrops, chasing hares and snuffling hedgehogs, sit unassumingly amongst William Shakespeare & Charlie Chaplin. 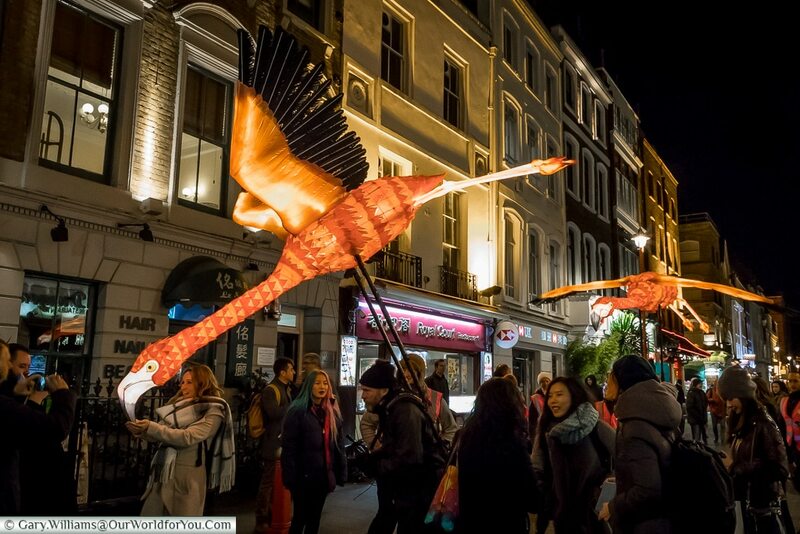 Gliding through the streets of Chinatown were three pink flamingos, gracefully soaring amongst the revellers. 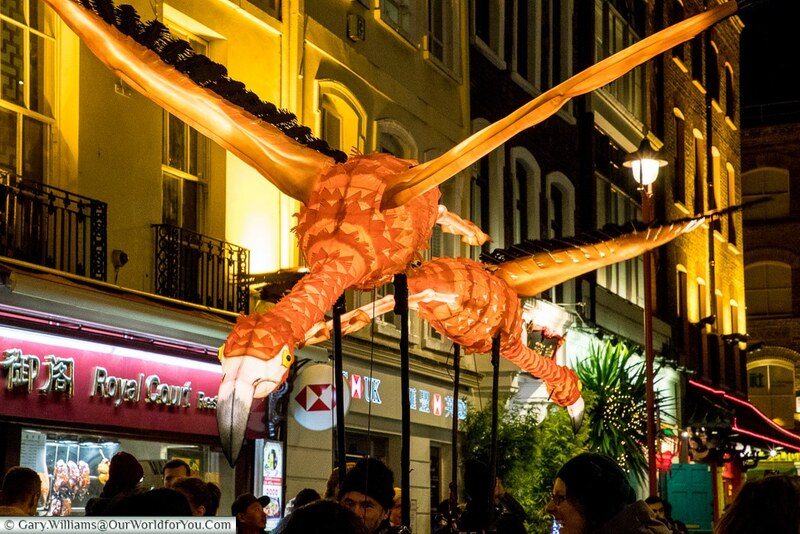 The shimmering flame coloured birds were quite inquisitive if you stood still for too long. 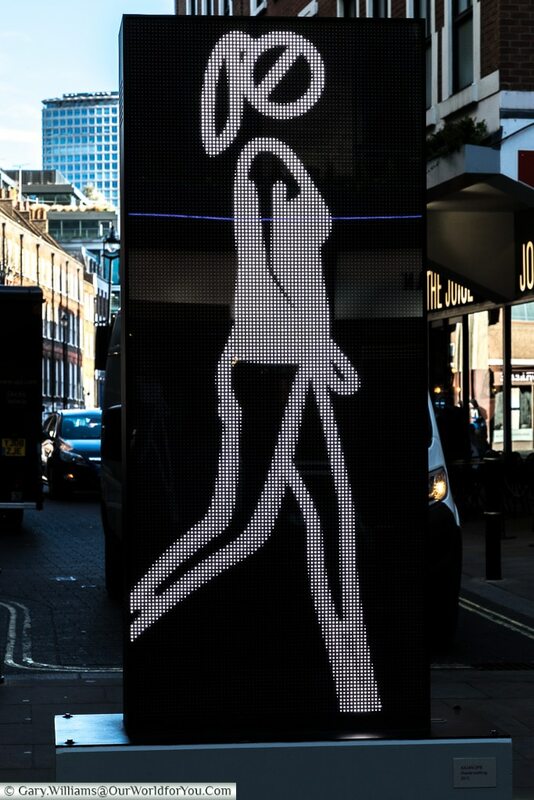 Taking a wander along Earlham Street at Seven Dials, you’ll certainly be doing a double take on the telephone box. 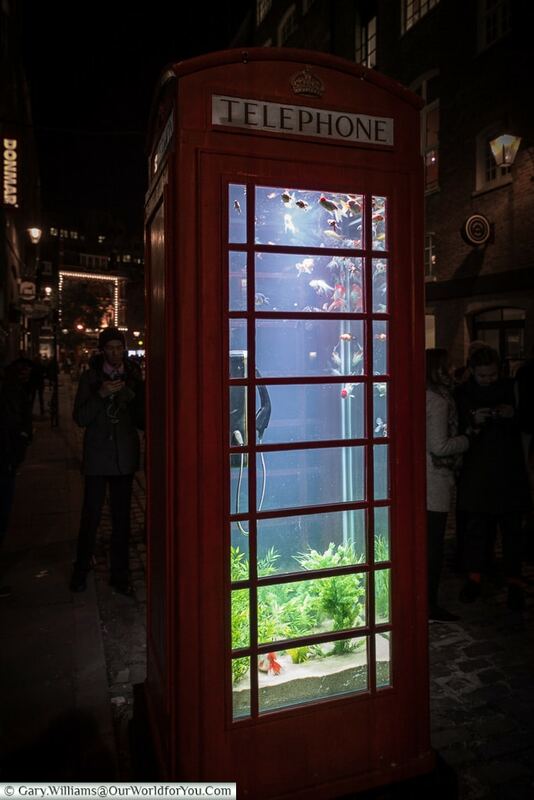 This eye-catching London icon has been transformed into a living aquarium, with the colourful exotic fish swimming gracefully around the telephone handset. 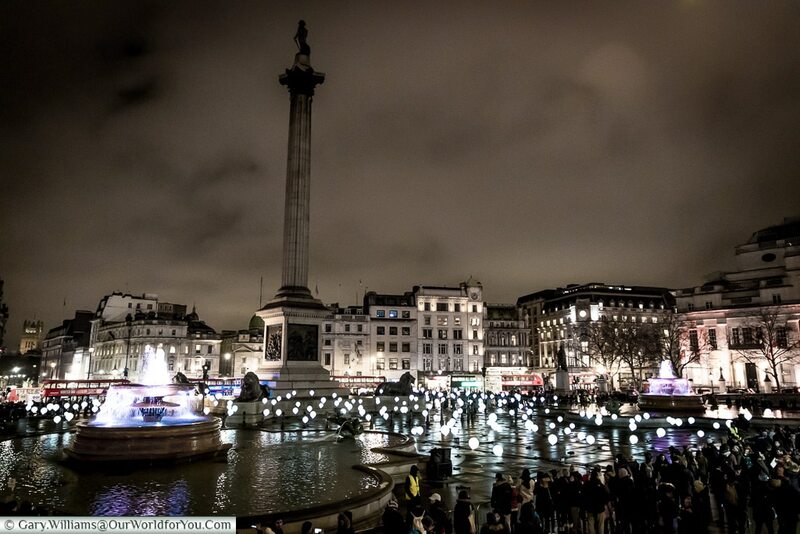 Although Lumiere is over for 2018, there is always something new going on in London; you won’t get bored. 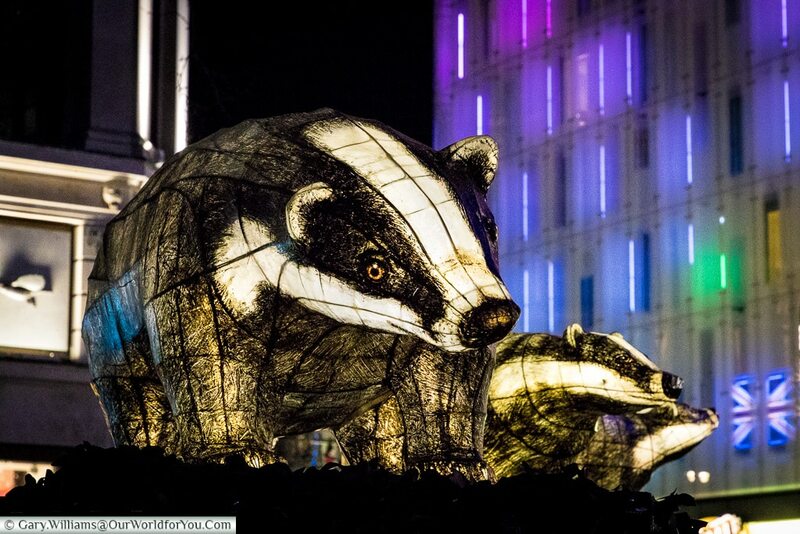 The last on our list was a visit to Store Street to see Cosmoscope and A-Bit Immersive. 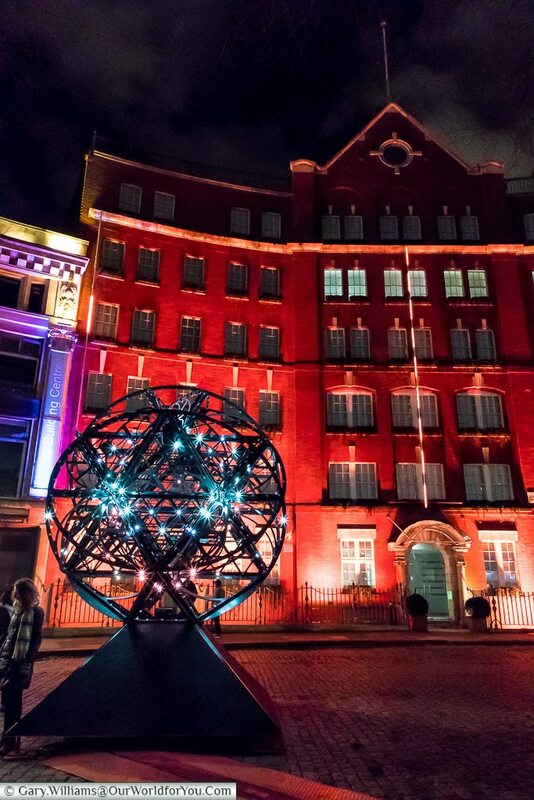 The large globe sculpture of Cosmoscope was quite mesmerising, with flowing streams of light pulsating in and around the sphere. 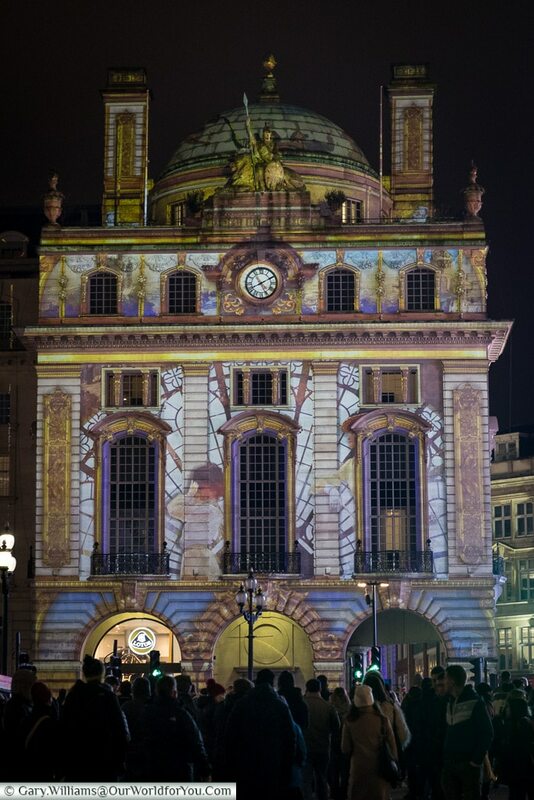 All the while A-Bit Immersive an interactive game was being projected onto the building beyond. For those of us older enough to remember, it sounded like the 70’s retro games. 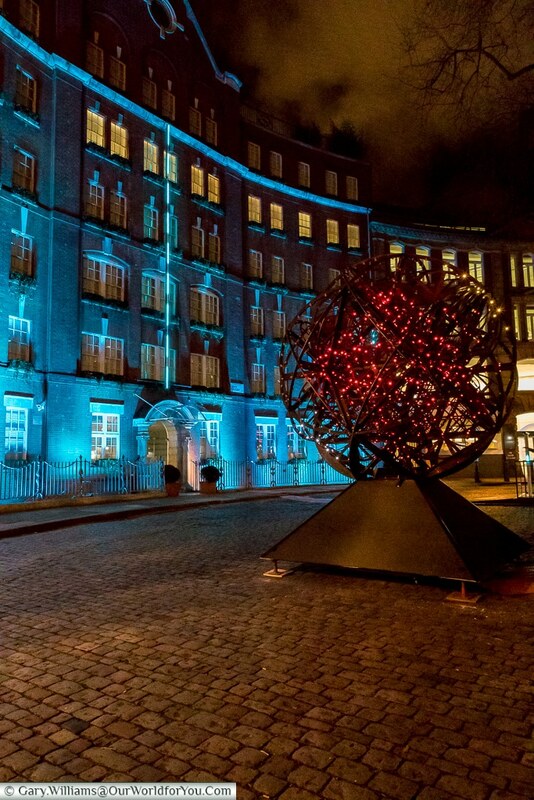 There’s something for everyone, museums, shopping, galleries, quaint English pubs and of course the ancient history of this incredible city?